Vampyr is another game I’d been looking forward to this spring. It’s been a little while since I picked up a solid RPG and this one looked quite promising. I’ve long been a fan of choose-your-own-adventure everything (it’s the control freak in me), and I hoped this game would cater to that need to make the story my own in a fulfilling way while still giving me plenty of action. I went in with high expectations, and I’m happy to report that I was not disappointed. The plot of Vampyr is anything but simple. The game is set in London near the end of World War I and we play as Jonathan Reid, a doctor who served in the war and has just come-to after being viciously attacked. Immediately, Dr. Reid makes a terrible decision as a result of this attack, which we soon learn has left him with a nasty case of vampirism. 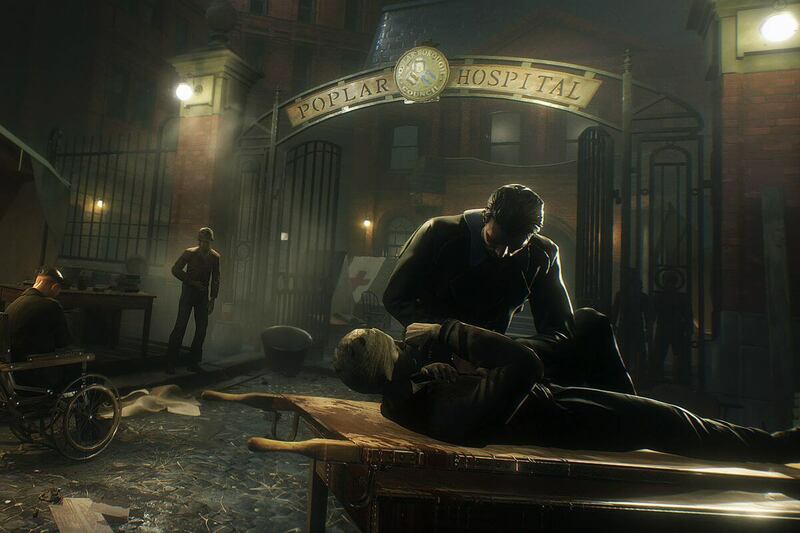 The overarching goal of Vampyr is to locate Jonathan’s maker and find out why he was abandoned in the first place, but that is just the beginning of the intricate web of stories told throughout. There are upwards of fifty London citizens we can interact with in any of the four districts, and they each have a tale to tell. Every interaction with a character opens up a vast network of possibilities as we dive deeper and learn more about each individual. You can use these interactions as a method to hunt prey, glean information to complete a mission or learn more about another character in the game. Each and every person is essential in some way, and your dealings with them WILL have consequences. While it is possible to play through Vampyr without killing anyone, I definitely took out some townies. Each time I used someone as a meal to gain experience and further my vampire powers (you can gain experience other ways, just not nearly as much), I would see the beginnings of the repercussions in my community map shortly afterward. Whether it causes another player to disappear or a region to destabilize, you never quite know who or what you’ll effect. Each mission interested me and gave me a reason to keep going; I always wanted to solve the riddle just as much as the characters did, and this is something I specifically look for in a story-driven game. If I were to complain about anything in Vampyr, it would be the game-play; the controls feel clunky at times. While at first I thought the developers were making a clever nod to the fact that Dr. Reid is a newly created vampire and is having to get used to his undead body, I soon found this wasn’t the case. The avatar almost feels drunk, maybe a little too quick to lurch in this direction or that at the slightest tap of the joystick. Now, I will say, there is an art to the controls I discovered later on (they require a delicate touch, which is something I don’t have), but for me, this is annoying enough to cause a huff or two every so often. In addition to Jonathan’s sometimes jerky movements, the combat system ranges from okay to infuriating. The array of weapons and vampire skills in your arsenal is pretty impressive; you really can tailor it to whatever fighting style you choose. I would never shy away from a fight; more… sort of sigh a little bit. During combat, you can target an enemy so you can focus more on dodging and healing than actually aiming your attacks, which is all fine and dandy until the targeting starts making decisions on its own. There were several times I would be targeting a specific enemy so I could eradicate him from the battlefield ASAP, and suddenly I’d be sending a punishing spear of blood through a completely different guy’s chest. You don’t need to have an overwhelming amount of tact when going into a battle in Vampyr, but we all have our way of doing things, and this glitchy habit cramped my style. While all this sounds bad, it is more annoying than game-ruining. I simply ask that a little more attention be paid to how I have to move around my environment, and target the flippin’ baddie I tell you to! 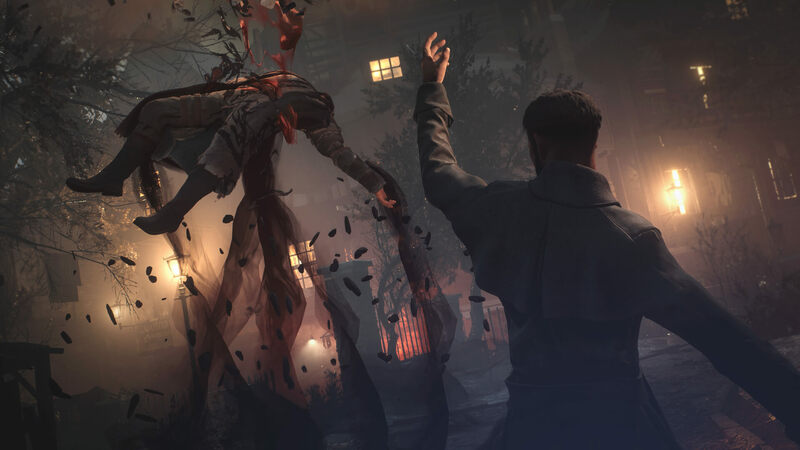 At the very beginning, Vampyr tells you the difficulty of the game is based on how many people you kill; the more blood you shed, the easier things will be. While, as I said, you don’t HAVE to kill anyone to beat the game, things can get a little rough if you don’t. My decision to kill came about after my third death during what should have been an easy battle. If you choose mercy, each fight will feel a lot more gritty and intense. Personally, I like things to be quick and painless, so I snacked on a few folks. I’m no Jack the Ripper, but there are a few X’s on the community map. I like this method of difficulty control; it forces a moral dilemma, which I am a huge fan of, being a masochist. (I’m also an extremely spookable horror fanatic.) If you have no issue ridding the city of a few citizens, you can sail through the game easy-peasy and enjoy the story — what snippets you don’t lose from those you’ve taken. If you don’t see yourself as the type of person who gets to decide who lives and who dies, you’ll have to fight a lot harder to rid London of the monsters who threaten to destroy it, but you’ll sleep easier at night (at day?). The graphics in Vampyr are pretty darn good. Johnathan is just a tiny bit more realistically crafted than the rest of the inhabitants, but not by a glaring margin. The city itself is gorgeous in all it’s dark, dingy glory. Every aspect of the environment we get to play in feels authentic; London has never looked more slimy or disgusting than when it’s in the grips of the Spanish flu. Dontnod (of Life Is Strange fame) did a fantastic job immersing us in 20th century England, setting the stage for our story perfectly. Every alley seems menacing, every boarded up building sad and foreboding. You can feel the anguish of a ravaged city everywhere you look, as bodies and debris line the streets and rats run rampant. The developers took the time to visit London and study maps and historical data, and this obvious dedication to their work shines in the final product. I’ve never been to London, but I’m told there are a few landmarks on Vampyr’s map that are very real and will look familiar to some. Now THAT’S what I call authenticity! Sound design is always important to me as a gamer; music and sound effects can make or break your experience with a title, and I hate when things don’t mesh as they should. In the case of Vampyr, things come together quite nicely. Strings are the primary focus, and they create a perfectly melancholic soundtrack as we meander through the streets. The music will intensify beautifully during a fight or particularly tense bit of story. You can feel your heart swell with the violin and your hair stand with the thrumming base of the cello as we are swept along our journey. The sound effects are equally moving and haunting; the piercings squeal of rats follows you everywhere, along with the dripping of what you hope is water into the gutters running with what you know isn’t. Every wet step down the cobblestone streets echoes with the profound loneliness felt throughout the city. Dontnod did a fantastic job with the score and making everything feel dark and hopeless, which is precisely what Vampyr needs. I like this game. It is as simple as that. I love Jonathan Reid as the main character, the struggle he faces coming to grips with the fact that he’s now a doctor who has to feed on life. I love the in-depth interactions with citizens in the town, and the apparent amount of effort expended to make sure everyone is a unique character with their own story. I love feeling like I am walking through the streets of London during such a dark time period and seeing the despair around me. The fights are fun, although I wish the system didn’t try to help you pick your enemies. The amount of lore built into the story is impressive and forms a solid narrative for you to follow. All in all, Vampyr delivers on its promises. It’s an action RPG with a massive community web and decision-making aspect that really matters. 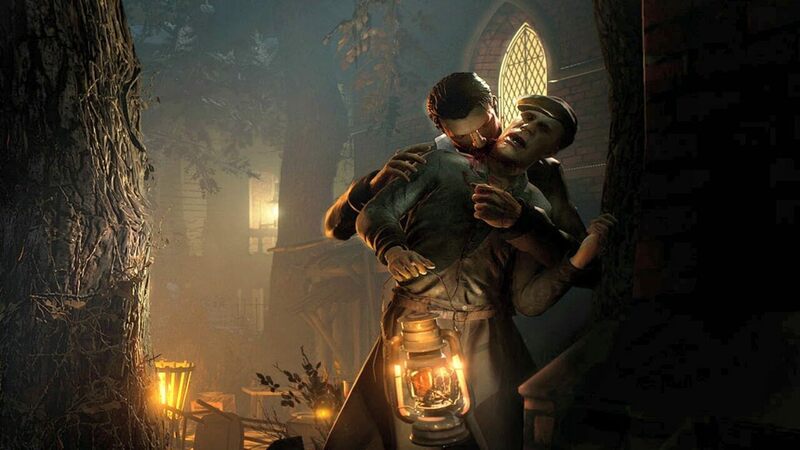 As we saw with Life Is Strange, Dontnod is amazing at bringing their characters to life and giving you an immersive story you can’t help but enjoy; they brought this same expertise to Vampyr. I highly recommend picking this one up if decision-making RPGs are your thing; and, I mean, vampires are pretty cool. All in all, Vampyr delivers on its promises. It’s an action RPG with a massive community web and decision-making aspect that really matters, paired with fun combat an excellent story-telling. @RAFTERMANTIS @ABC You nailed it!